In New Jersey, a child may bring a lawsuit for injuries. However, there are a few special requirements for children that must be followed in order for them to do so. For example, they must have a parent or another guardian act on their behalf to sign the legal paperwork and speak for them at certain proceedings but otherwise, children are as free to bring a claim as anyone else. It is important to be aware of the fact that when filing a case for a child, there is a deadline. You must file the case within two years of the child’s 18th birthday. 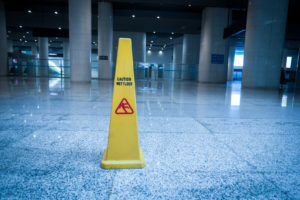 As in many other states, New Jersey has a statute of limitations for personal injury accidents. In New Jersey, the statute of limitations does not begin until a child’s 18th birthday. For example, if your child was injured in a car accident when they were 10 years old, they may bring a lawsuit against the person who caused the injuries with the assistance of their legal guardian as long as the claim is filed within two years. When that child turns 18, they can bring their own lawsuit without the help of their legal guardian.